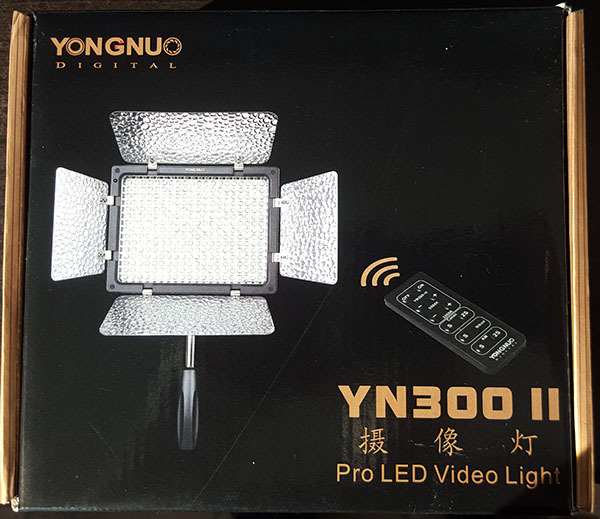 For my videos mainly for my Youtube channel i use 2 Yongnuo 300 II video lights. 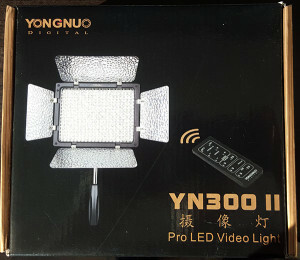 These lights offer a bright light with 300 LED’s but the light being bright the light also is very directional. Meanwhile most of the captures are done with a Huawei Mate 10 Pro and for audio i use the Rode smartLav+ microphone on a second smartphone. Usign all 300 LED’s you’ll get a mixed light temperature between daylight and tungsten, but this can be corrected very easily in Premiere Pro. The area of the video lights is pretty small so the light is pretty directional to the object resulting in a hard lighting. This can be improved a little bit by using a second light. But using 2 lights you have to look out not to produce shadow doubling. And even more complication i wear glasses so i have to watch for reflections. Until now i used white umbrellas which are pretty well priced arround 20,– € for an umbrella with 1m diameter. Together with a lamp stand and a Manfrotto 026 holder the whole setup is flexible and yet easy to use. With this setup the lightning is pretty good even though the videolight isn’t able to light the complete aera but the the light aera is a lot larger than with the video lights used stand alone. Diiferent offers for softboxes on Amazon urged me on trying out this type of light. They seemed to be more compact because they are completly foldable. 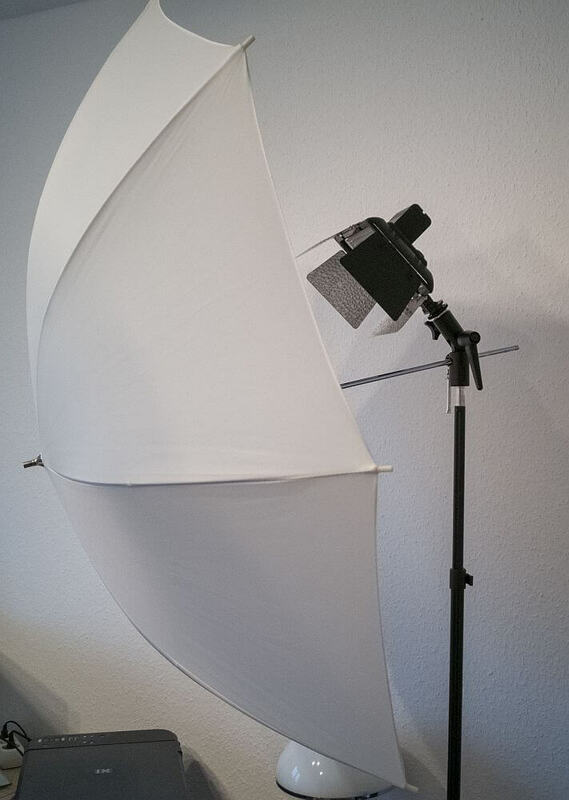 I decided to get the SB-300 softboxes. There is a softbox from D-Fuse with almost a price twice the SB-300 price, but i didn’t see an advanatge over the cheaper ones. The product quality is very good and fixing the softbox to the videolight with these straps is a good solution. 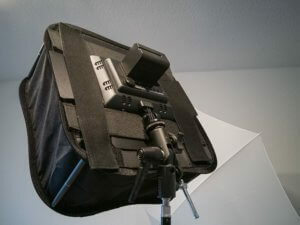 The softbox suppose to fold just like the bigger reflectors to reach an compact size for transport or storage. But the problem is that the light surface of these softboxes is not very much larger than the video lights alone, so the light still is very hard and not as soft as with the umbrellas. And i didn’t make it to fold the softboxes properly. Even though the qulity is very good you’ll get better results with larger white umbrellas at the same price.